Cognac is currently enjoying a renaissance thanks to the boom in cocktail culture as mixologists revamp classics such as the Sazerac, French 75 and Sidecar, adding their own twists with innovative new ingredients. Innovative bartenders have a whole range of tools at their disposal to create show-stopping cocktails which might leave you stumped, but experimentation doesn’t have to mean space-age equipment. The BNIC has developed a new wave of perfectly balanced, beautiful cocktails which can be recreated easily at home, and show off the versatility of the spirit. These include new creations and twists on old favourites – from the light and zingy Sidecar, to the brooding and complex Cognac Old Fashioned. 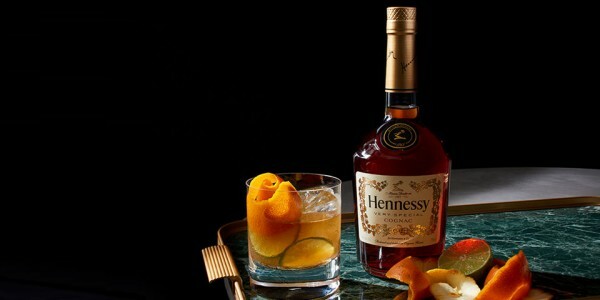 From VS to VSOP and XO, at noon or midnight, there’s never been a better time to mix up a Cognac cocktail. Method Put the Cognac and the liqueur into a flute glass and top with chilled Champagne. Garnish with a raspberry. Method Place the ice cubes in a shaker with Cognac, lemon juice and triple sec. Shake well. Strain into the glass using a cocktail strainer and press the orange peel over the drink. Method Place the sugar cube in the base of an old fashioned glass. Soak with the bitters and a dash of soda water, then crush the sugar with the back of a bar spoon. Add one third of the Cognac and two ice cubes and stir well. Add another third of the Cognac and one ice cube and stir well. Repeat with the remaining Cognac and ice cube and decorate with a twist of orange peel. Method Place the lime and ginger slices in a glass. Add the VSOP Cognac. Lightly press the lime and ginger 2 to 3 times using a muddler Half fill the glass with ice and stir well for 5 seconds using a bar spoon. Add the traditional lemonade and the cucumber peel. Stir well for 5 seconds using a bar spoon. Method Prepare the glass by crusting the glass rim with fine caster sugar. To do this moisten the rim with lemon juice and dip it into a saucer filled with sugar. Put all of the ingredients into a shaker filled with ice, shake, then strain into the prepared glass. Garnish with a long spiral of lemon inside the rim of the glass.